Both of these timbers are the same species but are actually very different. For instance Canadian Western Red Cedar is a dark and vibrant red while the British is a light creamy, brown colour. Over time both Timbers will go silvery grey however they can be treated to keep their colour. Canadian Western Red Cedar is often used for cladding because of longevity and resistance to decay, splitting and movement once fitted. 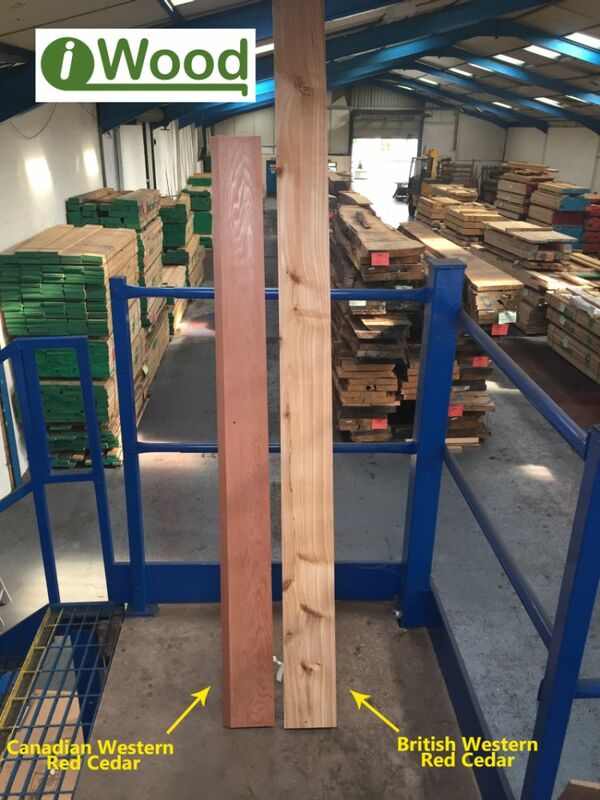 Cedar timber is available in the “Clear and Better” Grade which is sourced with very few knots and the knots that are in the timber will be small. There are ten profiles of cladding to choose from so you get the finish you want. British Cedar can also be used for cladding if you are looking for a more traditional look. The British timber tends to be knottier and is available in the Fresh Sawn Merchantable grade. As it’s Fresh Sawn, the British cedar is also available in waney edge as well as the machined profiles. Cedar beams are good for constructional work because they are naturally resistant to rot and are classed as durable. Thanks to its resistance to the weather cedar is just as suitable for outdoor use as indoor, as more sunlight reaches the beam, the quicker the timber changes colour. Another popular use for Cedar is fence slats because of its naturally aesthetic properties. Due to its lack of knots the Canadian Western Red provides a contemporary look to your garden. You can treat your cedar timber to keep its colour for longer, however, you don’t need to treat the timber to protect against infestation because it’s naturally resistant.